Since my birth, Milwaukee has, in a sense, been my hometown. If we’re getting technical, I grew up in Waukesha, Wisconsin, a suburb about 20 minutes outside of Milwaukee. However, Milwaukee was where most of the action was growing up, whether it was an elementary school class field trip to the museum, a play at the theater with my mom, a basketball game with my dad, or a trip down to any number of the summer festivals that go on every weekend a la the City of Festivals nickname it has. 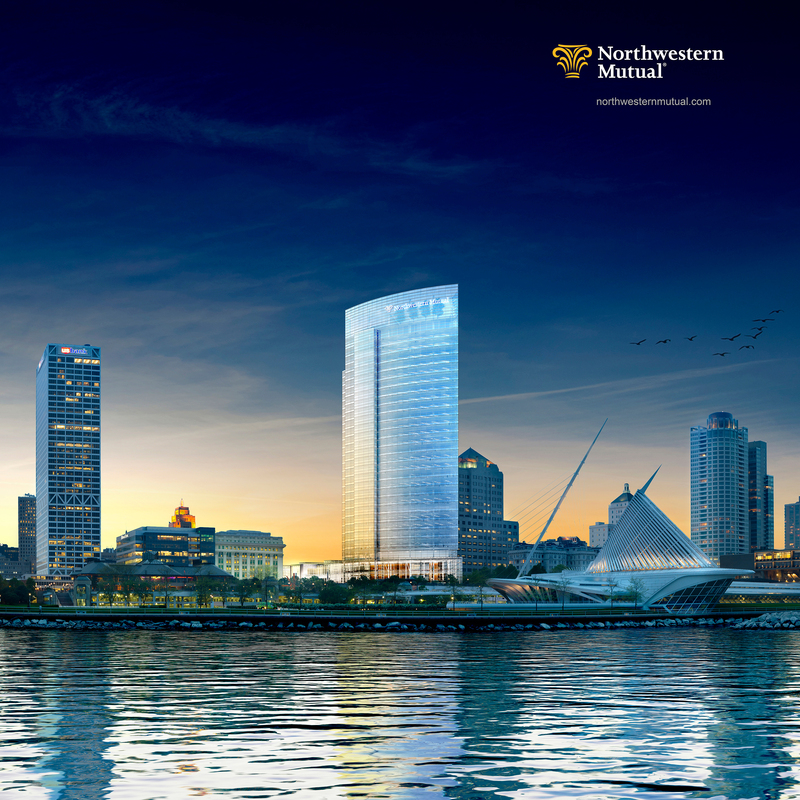 Throughout my life, with the exception of my time in college and studying abroad, I have called Milwaukee home. In the recent months leading up to my departure to Spain, I began to think about everything that I would miss about home and all the things I would no longer just be able to go out and do, so when I decided to take part in the #Take12Trips project that encourages people to take 12 trips a year no matter how big or small, I figured that exploring Milwaukee through a tourists eyes would make sense. Not only would I be able to do and see things about the city that I loved, but I would also be able to do things here that I have always wanted to but have put off doing because, “Oh, I can do that anytime.” I think you all know what I’m talking about there because I’m fairly certain we all neglect taking advantage of everything our hometowns have to offer. I had a friend coming into town for the weekend, so it was the perfect way to explore my own city. While showing Milwaukee off to her, I incorporated tourist stuff in with many of my favorite local hotspots. Having never been to Milwaukee or the Midwest before, she was shocked by Milwaukee’s beauty, history, and, my personal favorite, it’s welcoming attitude. 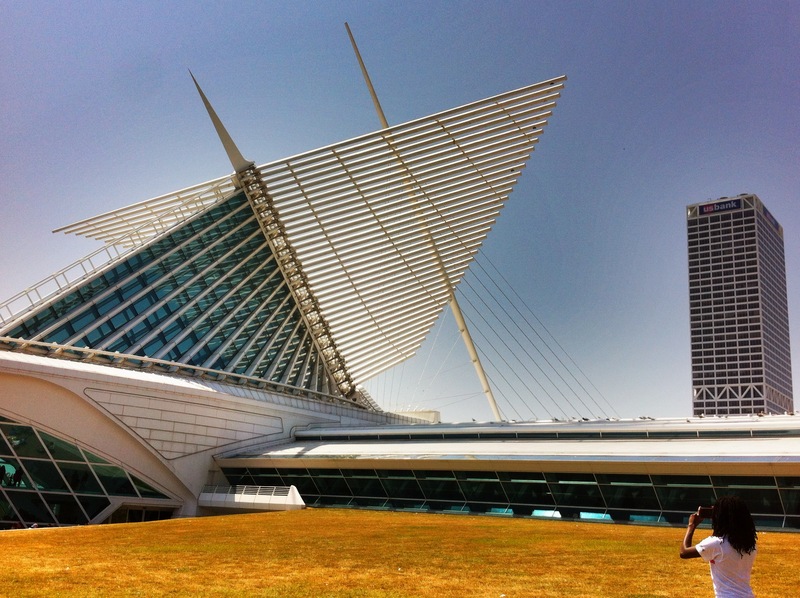 The Milwaukee Art Museum is arguably Milwaukee’s architectural icon. 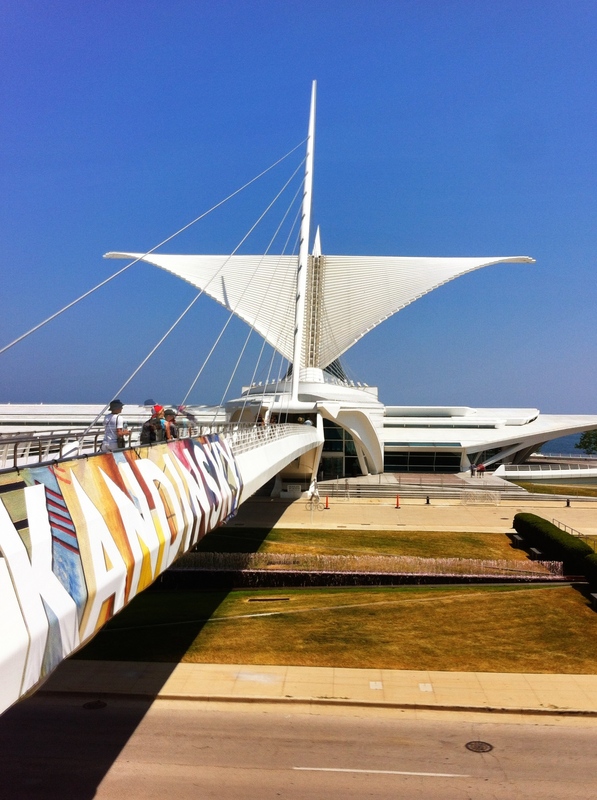 Built by Spanish architect Santiago Calatrava in 2001, this wing of the Milwaukee Art Museum is now on my tourism and travel advertising that is at all associated with Milwaukee. It’s beautiful and magnificent wings open and close daily which is quite the spectacular sight. The entire Calatrava addition to the museum overlooks Lake Michigan, and on a nice warm summer day coupled with a cool lake breeze, it’s a joy to stroll around and marvel at. If you choose to go in the museum, you may be surprised because the Calatrava addition actually has very little art in it. That’s mainly housed at the adjacent building topped with the War Memorial Center which also overlooks the lake but is not nearly as famous. Although, the War Memorial Center was designed by another famous (probably less famous in current standards) architect Eero Saarinen. Whether you pay to go in the museum or not, it definitely is on the top of the list of sights to see in Milwaukee. 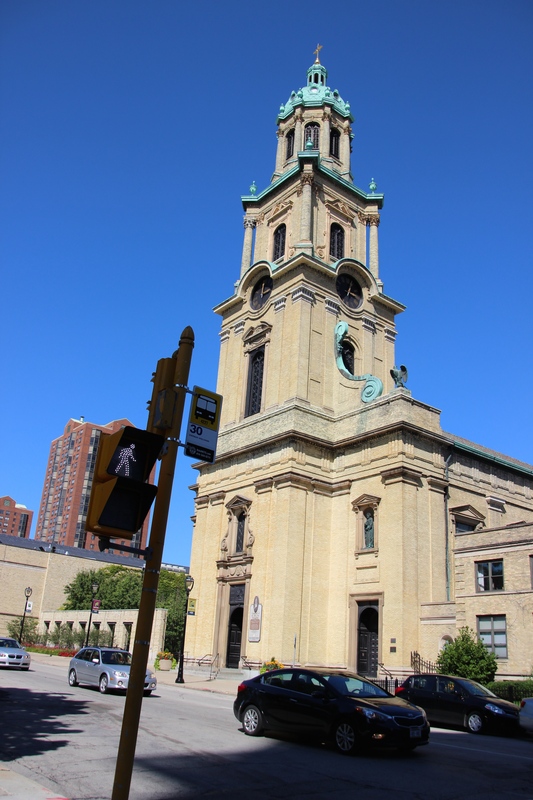 Aside from the art museum, Milwaukee is filled with plenty of other unique and historic architecture. Another nickname Milwaukee has is Cream City which is given to it because of the cream colored brick that was used to build many buildings, many of which are still standing. Growing up here and living here for the past four years, I took a lot of it for granted, but my friend was astounded at the beauty and detail of all the old historic buildings that Milwaukee has managed to preserve opposed to tear down like other cities. While Milwaukee has kept much of the old, it continues to build new. Within the last five years much has been constructed and within the next five there will be a few more skyscrapers added to the ever evolving Milwaukee skyline. The entire skyline, including the Milwaukee Art Museum is viewable from Veterans Park and the Oak Leaf Trail which is sandwiched in between downtown and Lake Michigan. I personally love the park and all the trails because not only are the usually filled with people picnicking, running, and biking, but it’s just a short walk from all the downtown action. There’s a small elevation drop between the the park and downtown and the East Side of Milwaukee, so it’s all connected by pedestrian paths, bridges, and a few steep streets. If walking, running, or biking aren’t your things, you can always grab a delicious local coffee from Colectivo Coffee on the Lake. For those who may only know Milwaukee as a beer town, it’s also a coffee hotbed with multiple local coffee roasters that easily out duel notional chains such as Starbucks within Milwaukee. Check out this Milwaukee Magazine article about it! So, back to the beer thing. Many think about Milwaukee may immediately think of beer, which explains the Brew City, Beer City, Beertown, and Brew City nicknames. 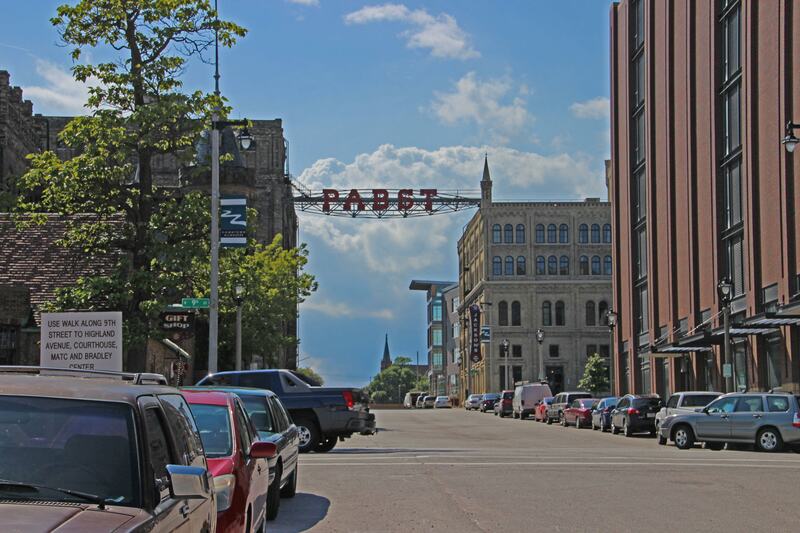 Miller, Pabst, Schlitz, and Blatz were all Milwaukee breweries. Many have now shut down or are brewed by each other such as Pabst Blue Ribbon now being brewed by Miller. Miller is now MillerCoors, Schlitz’s building now house business offices, and the Blatz brewery was made into condominiums. 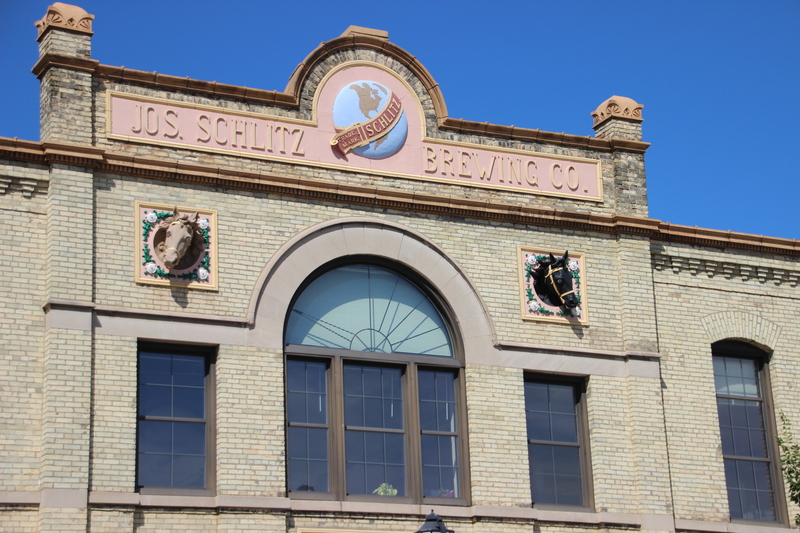 Nonetheless, the breweries still played an integral role in founding Milwaukee. Today, as micro and craft breweries sweep across the nation, and world, Milwaukee has not been left out. Milwaukee has many smaller breweries. Some are fairly established, while others are new to the game trying to make a name for themselves. 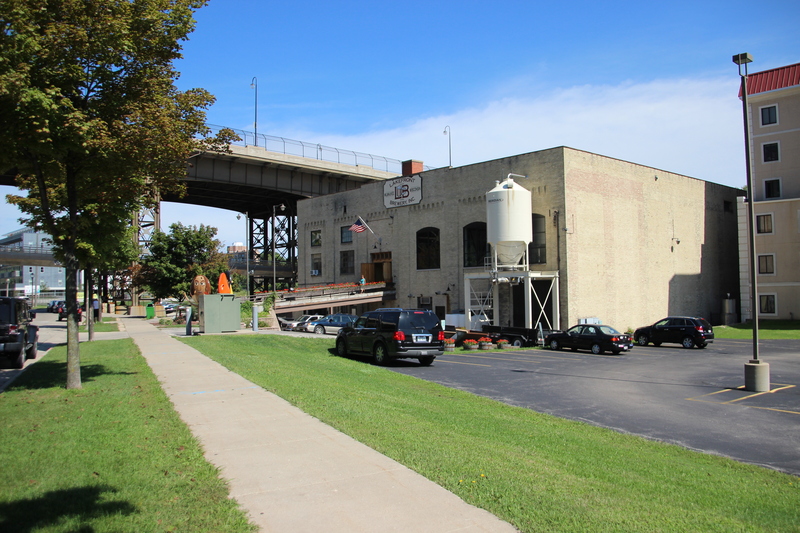 Milwaukee Brewing Company and Lakefront Brewery are two of the more popular ones near downtown. They also have some of the best tours around. It’s a great way to start the night off. Lots of beer for a little money and a tour to boot. You can’t go wrong there. We chose the Milwaukee Brewing Company tour, but honestly, you can’t go wrong with either. If you’re not in the mood or don’t have time for a tour, stop in to any local bar or swing by a few of the local parks. The bars will have a wide variety of tap and bottled beers, and many of the parks have fully operating beer gardens. As you can imagine, Milwaukeeans are fervently proud of their beer, and if you’re in town, you should grab one even if you don’t like beer to much. 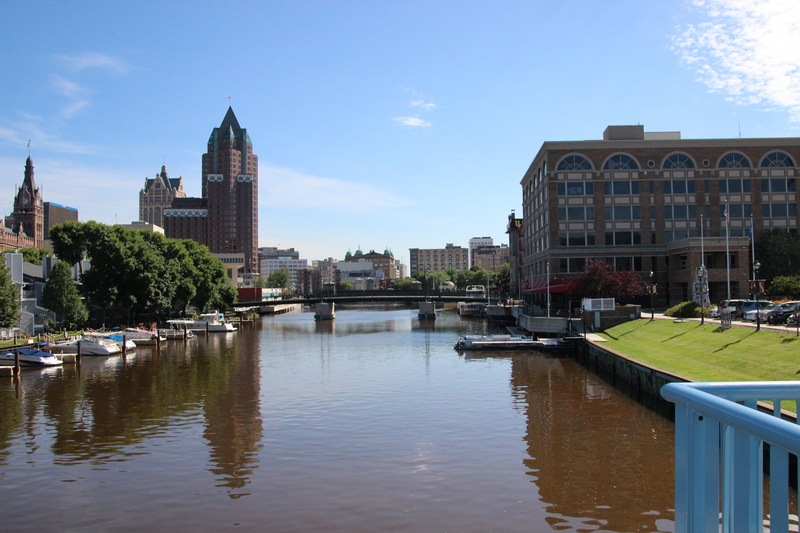 As our tour of Milwaukee wound down and we strolled along the Milwaukee River Riverwalk with cheese curds in hand from the Milwaukee Public Market in the Third Ward, one of the things that stood out to her most about Milwaukee was the laid back attitude of everyone. For a relatively big city, almost 600,000, she said that the city seemed relatively relaxed. People were friendly and helpful, yet it wasn’t a small town. You didn’t need to “dress up” to go in most bars as most people went out in more of a what’s comfortable approach, opposed to absolute latest styles and trends. The city was simply welcoming while still being full of life, or at least that was her experience. Personally, I could not be happier with that response as that’s how I’ve always felt about Milwaukee. I’ll be sad to leave as I move to Spain, but Milwaukee will always be there if I chose to return. Have you ever been to Milwaukee? What were your impressions? Looks like Milwaukee has some nice architecture to check out, from the cream-bricked neoclassical church you took a picture of to the Calatrava-designed art museum. I know almost nothing about the Upper Midwest (except that was home to many German and Scandinavian immigrants over the last century–I have a Danish great-great-great grandparent who lived in Minnesota), so it’s cool to hear about your hometown both from the local and tourist perspective. I love Milwaukee’s architecture. Sometimes I forget about it because I see it so often, so it was nice having an outsider remind me of its beauty. Milwaukee was primarily German and Polish immigrants with some other northern European immigrants mixed in. When are you coming up to Chicago again? Hope you’re enjoying your last few weeks at home!